Fin Greenall is not your normal artist. Greenall is a jack of all trades which includes singer, songwriter, producer, and DJ. 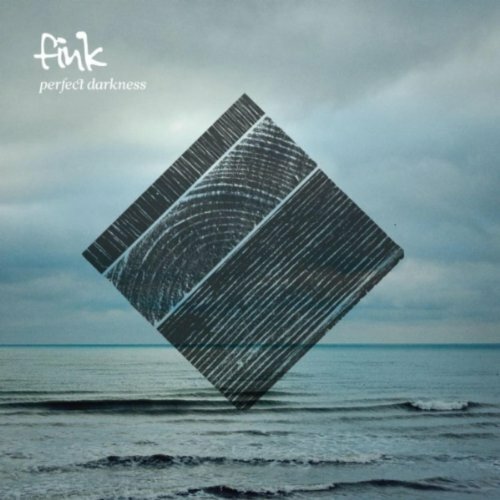 The Brit is very talented and it shows on his new record under the stage name Fink. Perfect Darkness was released on Ninja Tune Records. Perfect Darkness is one of those albums that you shouldn’t ignore. To put it in a short and simple statement, the record does not disappoint. Every track on the album grabs you right from the start. Each lyric is written with pure emotion, it lures you into the story he is trying to tell you. Every lick played, is played with the same emotion behind the writing of the lyrics. Such a breath of fresh air to hear music like this. You totally can relate to each and every song. It is almost as he is singing the soundtrack to your very life. If Fink isn’t in the top ten folk singer/songwriters, he should be. This album can compete with amazing material that are put out by the likes of Conor Oberst, Dallas Green, and Ben Harper. His vocals are strong, with putting the emphasis on phrases, really putting everything he has into singing the words. His voice goes through you and sends chills down your spine. The mixture of the electronic keys, the finger picking guitar, and the soulful vocals, the album is a total hit. Another record, that has nothing negative to say, and nothing negative to play. Each song crafted perfectly, down to its last note. Its even hard to pick any stand out tracks., each have something different to offer. With saying that, “Fear is Like Fire” and “Yesterday Was Hard for All of Us” are two stand out tracks to listen to, if your looking to get into any of their material. In the end, Perfect Darkness should be at the top of your list for albums to buy this year. It should also be said, that Fink is a band you need to look out for. They are on tour in Europe through November in support of this record.